2-8 players, ages 5 to adult. 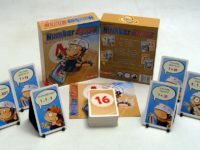 50 playing cards and instructions in English, French and Spanish. The game you play by ear! Listen up closely to every sound, and match each item with its pair that you’ve found. As you are guessing, you’re not allowed to peek. While the others make noises to help you go seek. But this twist on memory is not what it appears, as this game is played with only your ears! 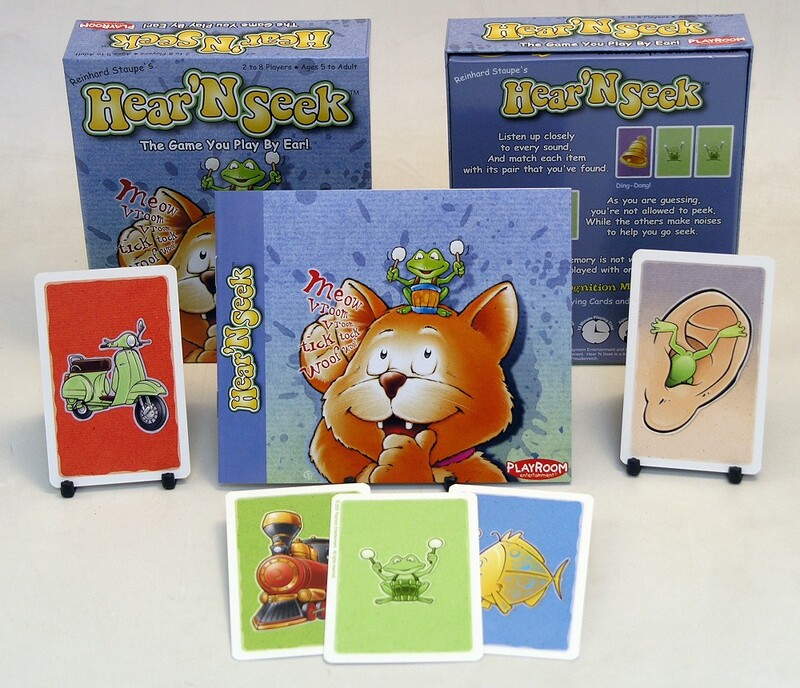 Hear ‘N Seek is a twist on the traditional memory card game for children aged 5 and up. As in normal memory games, you’re looking to match duplicate cards. But the twist is that you don’t get to see the picture cards – instead you have to remember the sound that each their objects makes. To begin, all the Sound Cards are shuffled and placed face-down in a grid, and the 30 Point Cards go into a draw pile nearby. The players now take it in turns to try and find pairs. On their turn, the current player sits themselves right in front of the grid, and the other players position themselves so they can see the cards that he’s going to flip up. The current player picks up any of the sound cards without looking at it, and shows it to the other players. Now, the other players all do the appropriate noise for the object. So if you pulled a card with a bell on it, everyone would say “ding-dong”, if you pulled the scooter everyone would say “vroom-vroom”, and soforth. The current player then picks another card, and shows it to the other players. Again, they say the appropriate sound for the picture on the card. If the card matches the first, the player puts both cards to one side. If the image on the second card is different to the first, the current player puts both back into their place and receives a Point Card. You want to avoid Point Cards, as if you get all 30 of them, your turn is over! There’s a reason for this however, as the person with the FEWEST Points at the end of the game is the winner. This may seem somewhat counter-intuitive, but it makes sense, as the person with the fewest Points will logically be the one who took the least number of attempts to get all the cards. 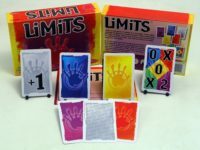 Once everyone’s had a turn flipping over the cards, the Points are totaled up and the person with the lowest number wins! Hear ‘N Seek is certainly a noisy, lively little game, and does well to channel one innate talent of all small children – making loud noises – into something a teensy bit more intellectual than just running about falling over things. 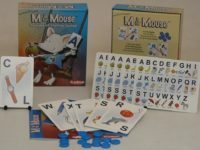 I think this is one of those educational games with a bit more emphasis on the fun, but that’s no bad thing, and there are still educational benefits; It’s good for improving memory, listening skills and crucially, everyone has to work together and shout out the right noise, which generates a good sense of cooperation. The only sticking point I can think of is that younger players might be slightly confused by the fact that you have to avoid getting Point Cards rather than win them, but it doesn’t take long to get used to, and may even help teach them that receiving things isn’t the be all and end all!